1 in 10 children are living with domestic abuse and teens aged 16-19 are most at risk of domestic abuse. Equation delivers a range of award-winning domestic abuse prevention and healthy relationships projects and resources for children and young people in schools, colleges and community settings. Good Relationships are Equal And Trusting (GREAT) is a fun and interactive project delivered to primary school pupils in Years 5 and 6. Designed in collaboration with teachers and pupils, GREAT raises awareness about domestic violence, improves children’s access to support services, changes attitudes to prevent future domestic violence, and empowers young people to aspire towards healthy relationships. GREAT has been delivered in 54 primary schools in Nottingham City. To book a GREAT Project in your local school, please contact us. Find out more about the Project’s aims, benefits, and detailed lesson plans on the dedicated GREAT Project website. Specialist domestic abuse organisations outside Nottinghamshire who would like to deliver the GREAT Project can also purchase a licence. Please contact us to discuss options. Equate is an innovative whole school approach to educating young people about domestic abuse, gender equality and healthy relationships. Designed for secondary school pupils in all year groups, the comprehensive selection of lessons fits well into PSHE and other key areas of the curriculum. Sessions include sexting, personal space, child sexual exploitation, and staff training on domestic abuse. 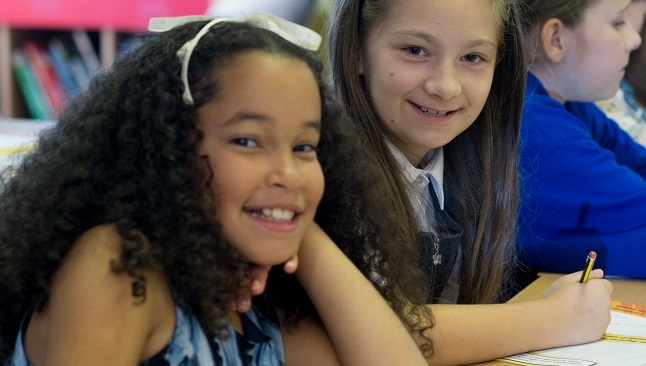 Equate is delivered to 4,000 pupils in Nottingham City and County each year. To book an Equate project in your local school, please contact us. To find out more about the project’s aims, benefits, and detailed lesson plans, download our comprehensive project guide. It is a sad fact 1 in 5 Teenagers in the UK will experience physical abuse (NSPCC, 2016), a tragic statistic only worsened when the impacts of domestic & sexual violence are considered. The reported effects on teenagers include reduced levels of self-esteem & confidence, a higher likelihood to experience mental health issues and unsurprisingly, a lack of attendance and ability to concentrate in class (Women and Equalities Committee, 2017). It is hard to imagine how, in their formative years, facing problems such as these wouldn’t have a direct impact on any child’s future prospects as their grades and ability to develop healthy social skills are likely to be effected. Following on from the successful outcomes of Equation’s existing training for Children and Young People we have been working to widen the reach of our training to professionals like yourself, enabling you and your colleagues to better safeguard the young adults you work with from experiencing the devastating effects of domestic violence. We now have on offer a suite of Twilights (90-minute briefings) and half/full day training courses. These training sessions explore multiple prominent and complex issues around teenage abuse and relationships in an engaging and easily digestible format that is accessible to everyone. For a conversation about what would have the highest impact on the young people you work please don’t hesitate to get in touch. Know More is a targeted interactive and creative 8-week project for young women. It addresses the risk of domestic abuse and sexual violence by focusing upon building young women’s self-esteem and confidence within relationships, empowering them to make positive choices about their lives. To book a Know More project, please contact us. To find out more about the project’s aims, benefits, and to see detailed lesson plans, download our comprehensive project guide. Choices is a targeted positive and creative 8-week project for young men. The project addresses the risk of abusive behaviours and attitudes through empowering the young men to manage their feelings, recognise their responsibilities and choices over their behaviours, and developing their aspirations for healthy relationships. To book a Choices project, please contact us. To find out more about the project’s aims, benefits, and to see detailed lesson plans, download our comprehensive project guide. Equation produces a range of high quality resources that support healthy relationships education and that tackle domestic abuse topics for children and young people. All Equation’s resources for children and young people are bright and creative and have been designed in consultation with young people to keep them engaged. Find out more on our resources pages.